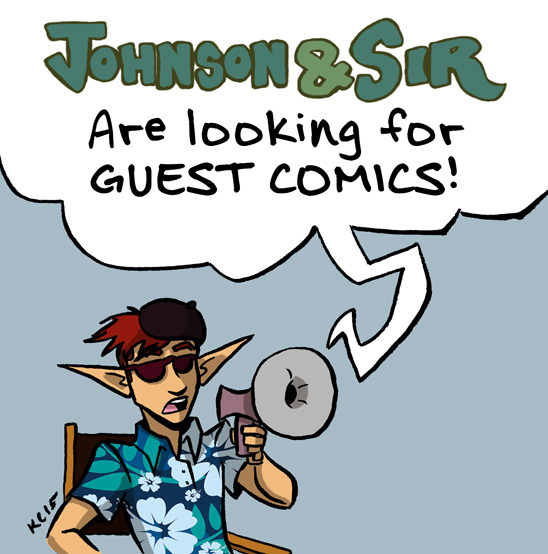 Johnson & Sir are looking for guest comics! That’s right, I need your comic strips for Johnson & Sir. Your compensation will be a PDF copy of TWO stories: Prologues, my short story anthology, and Wahid, a short story done with Kristen Kellner about a young woman who adopts a one-eyed cat (Wahid is not available anywhere else). Send any questions, comics pitches, and/or comic pages to kelcidcrawford@gmail.com. Also! 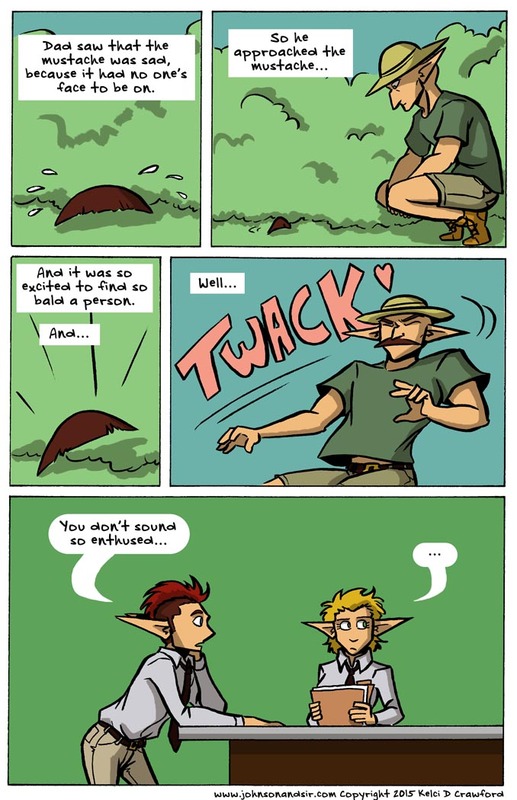 Seeing Him, the Webcomic has returned to KickStarter with new rewards and art! Go to the page, pledge your support, and spread the word, yo. No! I can’t be at the most recent one already!